You are here: Home » Blog » Commercial units » Are Professionals above the Drink-Drive Limit? Are Professionals above the Drink-Drive Limit? 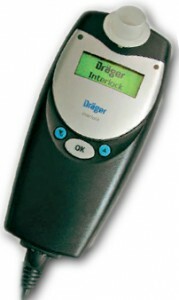 We had an interesting meeting with the suppliers of our Home Office Approved breathalyzers this week. One of the comments that passed was that France are about to introduce mandatory Interlock devices on all of their School buses, thereby effectively ensuring that ANY drivers of our precious cargo are fully fit for duty. (the interlock is a breathalyzer wired into the ignition system of the coach in the same way as an immobiliser – a clear sample has to be produced before the vehicle is able to be started.) Definately a commendable move, and one that makes you wonder why it hasn’t ALREADY been implemented over here? Whilst the UK personal drive-drive limit of 80milligrams (also known as 35 microgrammes on more recent devices) has remained unchanged since its introduction by the Road Safety Act in 1967, further legislation was passed in January 2003 regarding the permitted alcohol levels for those who work in the transport industry under the Railways and Transport Safety Bill. In laymans terms, for anyone working under the guise of Airline, Shipping or Rail, from the pilot of the aircraft flying you to your skiing holiday to the railtrack workers clearing the weeds from the lines, to report to work with MORE than 20milligrams of alcohol is a sackable offence. This represents a quarter of the UK drink drive limit, and whilst I would hesitate to suggest that anyone knowingly drinks before reporting for duty, it is a level that is perfectly possible to STILL be morning after the night before. Especially in this season of the office party that may carry on longer than anticipated before an early morning start. The thing that DOES seem quite incredible though is that there is no parallel for the rest of the day-to-day PROFESSIONAL road users in this country i.e. the public bus and coach infrastructure, taxis or minicabs – in essence the rest of the public transport system. The fact that the driver of the bus taking your children to school could be approaching the UK limit of 80 and still technically be permitted to drive just beggars belief. Isn’t it time for a change?